Since you are reading this page, you probably already know very well what WikiRobot has to offer. » How Can I Promote WikiRobot? We're here to help you out in any way you need. If you know someone who needs an incredibly powerful and flexible wiki solution, simply register as our affiliate and send that person our way with a special link that you can find inside. When promoting WikiRobot, feel absolutely free to use all images and videos that are available on this website. The YouTube video from the home page has been very effective so far! Let's do some quick math: if you have a mailing list (or any other source of traffic like forums, discussion lists, etc. ), you could quickly let them know about WikiRobot. If 100 of your referrals buy WikiRobot (average price of $92) and a monthly WikiBase plan (average price $10.95), you will immediately make $4928 and then $328 every month as long as they stay our customers. Hands free! » Where Do I SIgn Up? 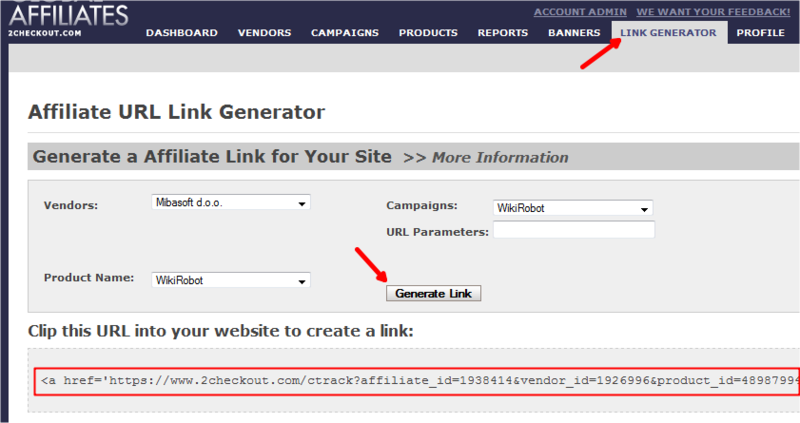 WikiRobot is sold through 2CheckOut.com so we use their affiliate program. 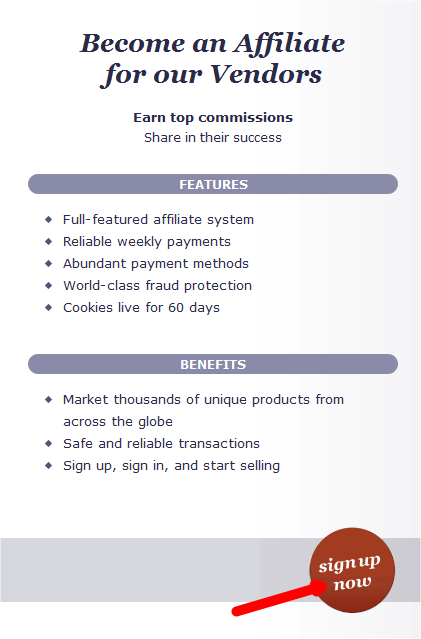 Go to http://affiliates.2checkout.com/ and sign up as an affiliate for vendors. Once you have successfully created your affiliate account log into your affiliate control panel and go to "CAMPAIGNS" tab. 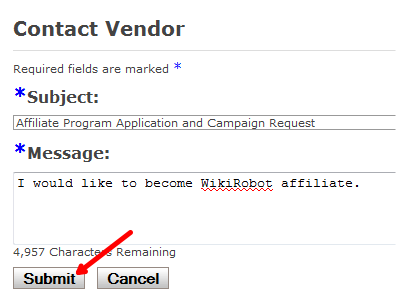 Type "wikirobot" into "Campaign Name" field and click Submit. 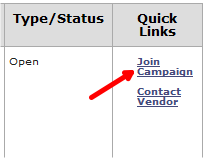 Next click "Join Campaign" as shown on the image. Type whatever you want into "Message" field and click Submit. Wait until we approve you as our affiliate (you will receive email once approved). In the last step you'll generate your affiliate link. In "LINK GENERATOR" tab make choices as on the image and click Generate Link. That's it, you are done! 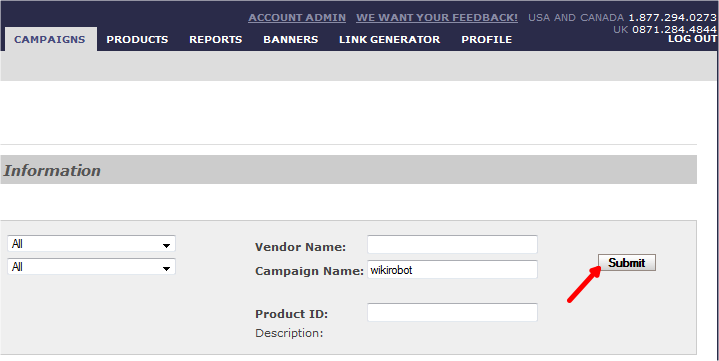 If you have any other questions don't hesitate to contact us at support@wikirobot.net. Thank you for being our affiliate partner!